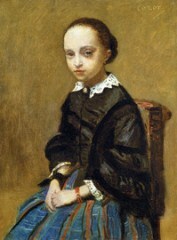 A man who was acting as an agent for the sale of Jean-Baptiste-Camille Corot’s 1857-58 painting “Portrait of a Girl” (estimated value: $1.35 million) lost the painting while intoxicated, according to a lawsuit recently filed in New York state. Following a meeting with the painting’s co-owner Tom Doyle and interested buyer Offer Wasserman, James Carl Haggerty, the agent enlisted to sell the portrait (and a friend of Doyle’s), was given the painting by co-owner Tom Doyle in order to deliver it to Offer Wasserman at his hotel. The potential buyer wanted to inspect it further under UV light. According to CCTV footage, Haggerty did bring the painting to Wasserman at his hotel, but the painting mostly stayed behind the front desk, and the two spent time together at the hotel’s bar, until Wasserman left at 11:30pm without the painting and Haggerty stayed behind at the bar, picking up the painting from behind the front desk at 12:50am and leaving with it while visibly intoxicated. Footage outside his building shows that he no longer had the painting when he arrived home at 2:30am. The next morning he called Doyle to say he couldn’t remember where the painting was because he had been so intoxicated the night before. The bottom line: make sure you have responsible business partners! You may like your friends, but sometimes they aren’t the best people to do business with. There have been a lot of new diamond buyers from mainland China, Hong Kong, Singapore, Taiwan and elsewhere in the region. I think after the financial crisis, the Asian buyers realized that the prices of diamond are relatively stable compared to other types of auction items. It’s interesting that Asian buyers are so interested in diamonds (though it should be noted that the eventual buyer was Moussaieff Jewellers of London) — we’ve seen other markets beginning to heat up in Asia. This auction and the auctions for other diamonds from the De Beers Millennium Collection that will surely follow are yet more signs that economic recovery is underway. Few Matisse paintings of quality come on the market, and each of the three Matisse paintings did better than its estimates. 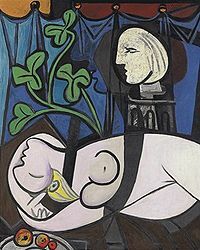 Picassos are not rare. But everyone is looking for a good Matisse. Those who can afford true luxury will continue to seek it in today’s economic climate–luxury is what makes us human. 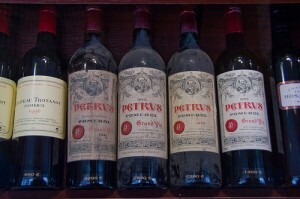 Those who sell luxury need to ensure that what they’re offering is truly unique. Following up this post: Amidst the financial chaos earlier this week, Damien Hirst managed to bring in £111 million for his latest collection at auction. He smashed Sotheby’s previous record for a collection of work by a single artist, held by a Piccasso collection that sold for $20 million in 1993. I think the desire to own a Hirst piece can be understood through the lens of either a Lambda or Theta worldview. Lambdas seek achievement and uniqueness as their end goal. 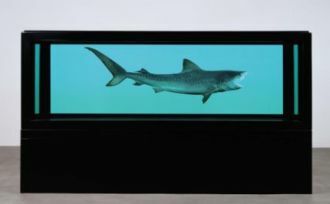 Hirst’s signature pieces, the animals in formaldehyde, are nothing if not unique, appealing to Lambda sensibilities. 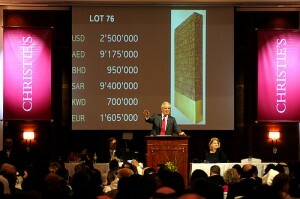 However, it’s interesting to note that 5 of the 223 pieces in the auction did not sell. The reason? They weren’t immediately recognizable as pieces by Damien Hirst (one example: ‘Killing Time,’ a plastic box filled with a desk, office chair, pills and a watch). This suggests that the people buying these pieces were seeking this ‘obviously by Hirst’ quality; they’re using their purchase to fit in and enhance their status among their peers, which is typical Theta behavior. Whether the purchasers were Lambdas or Thetas, I do wonder if they’ll still feel their purchases were worthwhile in a few months’ time as uncertainty in global financial markets continues. We’ve seen Damien Hirst challenge convention (and notions of connoisseurship) in the art world before with his diamond skull. For his newest project, he’s not just creating controversial art–he’s also challenging contemporary art’s business model. It used to be that art dealers had a window of about five years to sell (and resell) a new piece of art, earning about a 50% commission on each sale, before auction houses would accept the pieces to sell. For his new collection, Damien Hirst is cutting out the middleman, selling all 223 pieces directly through Sotheby’s next week. The pieces are as bold as ever and include The Kingdom, an 8ft tiger shark suspended in formaldehyde, and The Golden Calf, a life-sized bull with gold-plated hooves and horns also suspended in formaldehyde. “The first time you sell something is when it should cost the most,” he says. “I’ve definitely had the goal to make the primary market more expensive.” He compares a Prada outlet and an Oxfam shop. Why, in the world of shoes, do you pay more for a new pair from Prada, while in the world of art, the big money kicks in only when the shoes get to Oxfam? I think this is a fascinating comparison–however, one of the reasons that Prada shoes and other luxury goods sell for so much more new is that they do wear in ways that that artwork won’t–artwork can be appreciated in the same way whether it’s new or old, and generally time (or the passing of the artist) makes people appreciate the work even more. Though it’s funny that Hirst should make this comparison, as some of his formaldehyde works have actually worn in ways that traditional art wouldn’t and needed restoration. 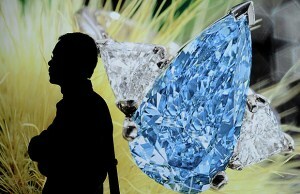 If you’re in London, you can see the whole collection on show at Sotheby’s through September 15. A French artist named Dogmael Damien has set up his own website targeting billionaires in search of their next big acquisition, a recent Art Newspaper article reports. The artist’s site is now online and markets itself as “Paintings for Billionaires Only”. 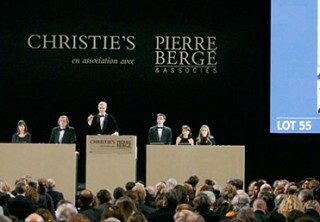 Each of the three paintings currently on the site can be had for only €150 million (and without any commission!). The recent boom in art sales has seen works of art selling for well beyond their list prices at art fairs or presale estimates at auctions. A Russian billionaire businessman named Alisher Usmanov recently bought 450 lots outright before the start of a Sotheby’s sale in October for “substantially above” the initial expectations of the sale.